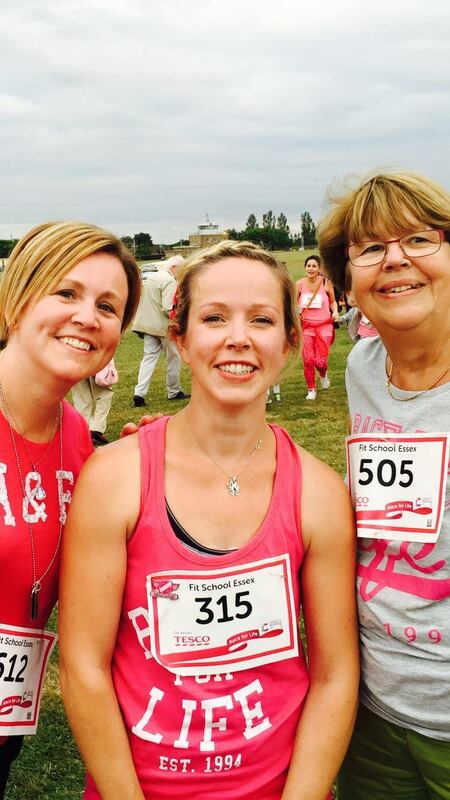 I’m fresh from this week’s Race for Life Epping. It was steamy one this year, with lots of heavy legs and even heavier breathing. I was under-trained and had been feeling unwell for a few days but I gave it everything. This meant pushing through and just getting my head down between kilometres 3-4. It meant encouraging strangers through the last stages just for a bit of feel-good distraction. It meant focusing on my husband and kids on the finish line, waiting for me. But most of all it meant ignoring my mind talk and remembering I am stronger than my mind. Running a race is often used as a metaphor for life, with good reason. It’s about enjoying the journey as well as the quest for your goal. There’s always another loop of that bloomin’ track or another hill you’d forgotten about and you’re not going to feel on top form for every race but you can still do it. Me with my sister and mum after Wednesday’s Race for Life. So how do you know if you are a winner? Here are the top 5 traits and habits I’ve spotted of people in life who are going places, whether that’s in the race for business success, fitness goals or happiness. 1. You’re prepared to just get on with the hard stuff. Newsflash. Even if you are in a job you love, which you’ve carved out for yourself, there’s still dull stuff to do. Just like those bits of a running race that are just plain hard, you just have to quit complaining. Stay up late. Get babysitters in. Ask for help. Dig deep and GET ON WITH IT. 2. You’re ready to stick your neck out and be noticed. You can’t always hide beneath a job title or role. Sometimes you need to be present and be yourself, which can feel uncomfortable. Earlier this year I was challenged to step out from my own shadow and be me in my business. This has felt really uncomfortable at times but reaps rewards in terms of being authentic and sincere in business. Just like a race, you can’t always play it safe with the joggers, sometimes have to line up with the runners and give it everything you have. 3. You have a plan but you can adapt. You might be going for a fast time or a new training PB but thinks crop up. A virus or a hiccup in your training. I’m not suggesting you run when you’re genuinely ill but you can still support or cheer on everyone else. It’s important you have your goals but you also need to be adaptable or you could miss out on new opportunities, partnerships or friendships along the way. Just make sure you re-route rather than divert completely. 4. You know who’s ahead of you, who’s chasing you and who’s supporting you. Now here’s a biggie. Who inspires you? Who are the competitors champing at your heels? And who’s supporting you? There are those who will always cheer you on. Those that will offload work or stress. Use them and appreciate them. They are all part of the journey. 5. You have found ways to enjoy the ride. And the most important one of all. Life will never slow down. It will never all be done. So take time to appreciate the moments. That might mean writing down 3 things you have been grateful for every day, it might mean making quality time for the special people in your life. But take off the blinkers and be present in your journey. On the whole we stick to the 80/20 rule. 80% on track and 20% treat, although to be honest too much of the wrong foods can make both of us feel pretty rotten. We aren’t fitness and health saints but we do have some absolute no go rulings. So in order to put a few myths to bed, here are our confessions. We eat chocolate. In fact we generally keep a supply of good quality dark chocolate (and occasionally milk sea salt because it’s just too yummy) in the cupboard. We rarely have a dessert so a few squares (more if it’s Chris) are a little evening treat once the kids are in bed. If you keep good stuff in you are less likely to buy cheap stuff. Although on that note we also love a Snickers bar – after a round of golf usually (oh those were the days). A family favourite meal is pie. Chicken pie. We make it from scratch, usually from roast chicken leftovers. We don’t officially exercise every day, rest days are important too. But we will make excuses to be active. A brisk walk up to the shops if it’s rush hour, half an hour out with Isaac on his scooter or Chris’ frequent squash games with clients. Sometimes we can’t be bothered to exercise but know it will do us good so throw ourselves out of the door or drive to the gym. On these days it’s most important to go and exercise because usually your brain needs it more than your body. The above was mainly about me (Karen), Chris has some weird motivational chip which means he can exercise really hard, on his own. I am more likely to walk the last few yards before I get to my house after a run. Chris would keep going and then do another lap. We aren’t ‘runners’ – Chris is more of a power athlete and having had knee surgery in his 20s an endurance run would not do him any favours. The most I’ve run is a half marathon and had the most horrendous digestive issues for half a day after that I’ve decided 10K is my absolute limit. We do exercise for fun. A family swim, a trip to the gym or obstacles in the forest or front room is great Friday night entertainment. We do workout in the garden, so look out for us when you’re departing Epping on the tube. We like a drink but only ever when it’s a celebration or a happy/relaxed occasion, never if we’re stressed or angry. Again this is more about me since Chris could never drink again and not miss it. I would. In fact I wish I didn’t get drunk on alcohol because I’d love to sample the entire cocktail menu but 1 mojito or champagne cocktail is generally my limit! We eat a lot of food. When we don’t, we get HANGRY. We rarely discuss fit or food tips with family. Never offer unsolicited advice. We just don’t do cheap/processed food. Spaghetti hoops or delivery pizzas are just asking for indigestion and a bad night’s sleep. All meat is organic or free range and where possible sourced from the butcher. I’d rather cook a cheap cut from a good quality animal than bother with a supermarket steak. All cake is home-made. It tastes better and we know what goes into it. 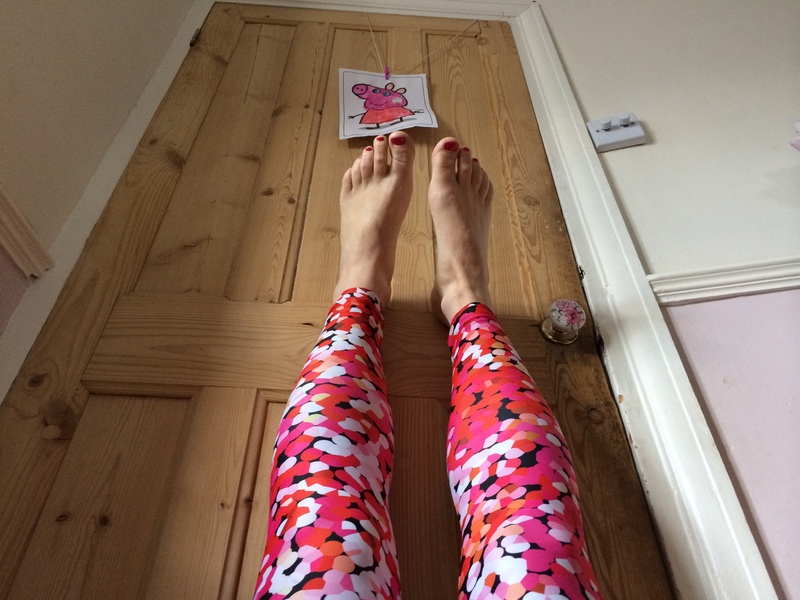 This post is written by the amazing Lucy Bannister who has been teaching Dru yoga in the workplace on behalf of Fit School for over a year. I’ve just started getting my Pilates participants to try this wall inversion. It’s a fantastic passive stretch for your hamstrings and hips. Do try it. I wanted to get Lucy’s take on the inversion as a yoga instructor. There’s more to the pose than just stretching as many of you have discovered. Give it a try. If the answer is not so great, or could be better, then read on. When the clocks change it can totally mess with our sleeping patterns, or perhaps it is the arrival of a small person in your life, long work hours or an intense social life that is leading to you not getting the rest you need. All too often, though, it is not these external factors but rather our own minds and habits that are causing the barrier to sleep. Sleep is beautiful, restorative and quite frequently in modern life, an indulgence. And those who are getting too little sleep will know only too well how hard life becomes without it. – Don’t drink caffeine after 4pm (it stays in your system and can leave you wired for many hours after). – Breathe. Simple but oh so incredibly important. Once you start you will realise how precious being aware of your breath is. – Yoga. A gentle yoga practice before bed, and if you wake in the night, is ideal for calming and clearing the mind, aiding the all important relaxation response. Had many hours of lying in bed with your body tense and the mind racing? Get up and relax, then return to bed ready to sleep. A perfect pre-bed yoga pose is Simple Inversion (it also works if you wake in the night). It allows the flow of blood to return to the heart, which is great for easing out a stressed body and calming a busy mind. Start with five minutes in this position and build up to longer sessions. Don’t go into an inversion for too long the first time as the venous return (the flow of blood back towards the heart) can be quite powerful. Give it a try next time you need to relax and get a good night’s sleep.